IHSAHN, one of Norway’s most pioneering musical legends, has unveiled details of his upcoming studio album Àmr. The nine-track long-player will be released via Candlelight/Spinefarm on May 4, 2018. Pre-orders are now live. The first track to be made available from the album is “Arcana Imperii,” which features a guitar solo by Opeth’s Fredrik Åkesson. Watch the video and listen here. Drawing from a rich pool of influences and utilising a wide range of instruments, Ihsahn has created a dark and brooding masterpiece of an album. Àmr possesses its own unique atmosphere; a palpable sense of tension and unease that infuses even the album’s most melodic moments with heightened drama and otherworldly menace. Although as dark and intense as anything he has conjured before, both the depth of sonic texture and the clarity of his overarching vision are more impressive than ever. Opting to eschew string arrangements and orchestration in favour of synthesisers, Àmr strides boldly into uncharted territory yet retains Ihsahn’s signature high level skill and off-the-scale quality. 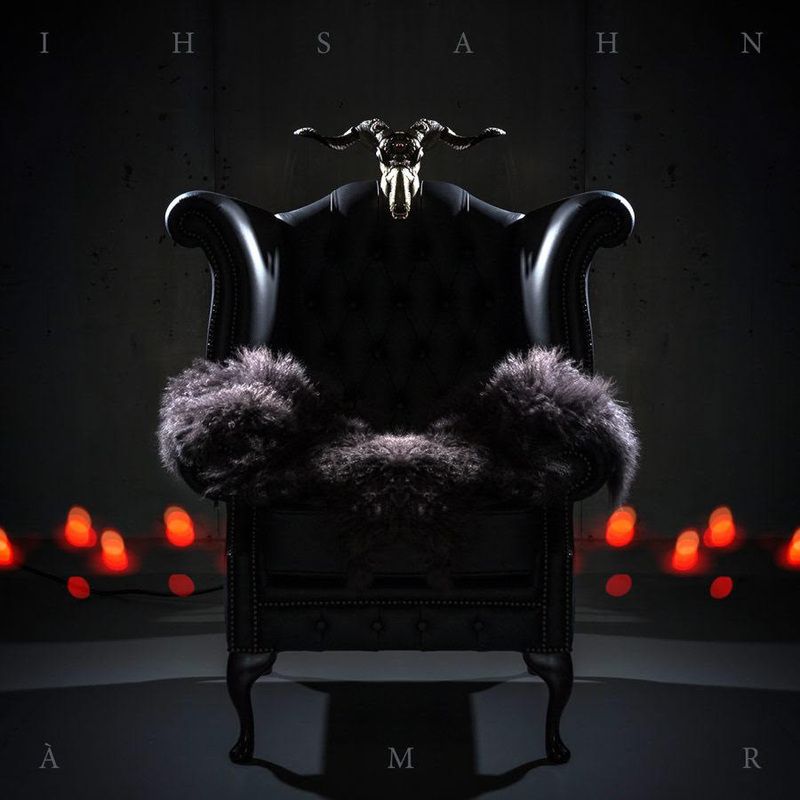 Drenched in evocative synths and brimming with skewed but irresistible riffs, Àmr is both Ihsahn’s most accessible record to date and his most extreme departure from his black metal roots. Whilst he is something of a musical polymath, Ihsahn was joined on the recording of Àmr by Tobias Ørnes Andersen who provided drums and percussion. Àmr was recorded at his own Mnemosyne Studio, except for drum recordings, which were done at Sonic Attic Studios. Mixing was handled by Fascination Street Studios, in the capable hands of the talented Linus Corneliusson. Mastering was once again done by Jens Bogren. The record will be available on CD, 2xLP gatefold vinyl, and digitally. “Arcana Imperii” is available as an instant download with digital pre-orders of the album.